Cologne, October 10, 2017 – The Hei­del­berg Dis­trict Court announ­ced the insol­vency pro­cee­dings against Boris Becker. The for­mer pro­fes­sio­nal ten­nis player and three-time Wim­b­le­don cham­pion was decla­red ban­krupt by the Bri­tish High Court on June 21, 2017. An insol­vency decla­red wit­hin an EU coun­try app­lies throug­hout Europe; the­re­fore, pay­ments can no lon­ger be made to Boris Becker in Ger­many to reduce a debt. If a pay­ment is nevert­he­less made, busi­ness part­ners can be char­ged again by the insol­vency admi­ni­s­t­ra­tor. The insol­vency admi­ni­s­t­ra­tors Mark Ford, Fin­barr O’Con­nell and Gil Lemon of Smith & Wil­liam­son LLP have cal­led in Cologne-based insol­vency and restruc­tu­ring expert Jan Groß to con­duct the insol­vency pro­cee­dings in Ger­many. 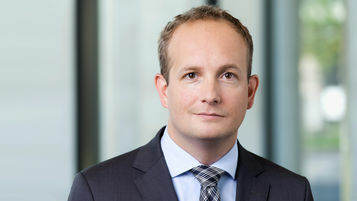 Mr. Groß, who is a part­ner at the audit and con­sul­ting firm of Ebner Stolz, will iden­tify assets and claims of the for­mer ten­nis pro that are loca­ted in Ger­many so that they can be added to the insol­vent estate. Ebner Stolz and Smith & Wil­liam­son LLP have suc­cess­fully wor­ked toge­ther on cross-bor­der pro­cee­dings many times in the past. 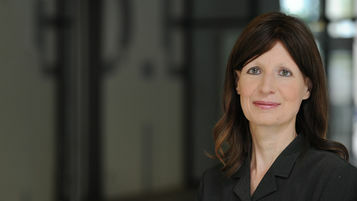 At more than 15 loca­ti­ons in Ger­many, Ebner Stolz has more than 60 lawy­ers, tax advi­sors, audi­tors and busi­ness con­sul­tants spe­cia­li­zing in restruc­tu­ring. Ebner Stolz is one of the lar­gest inde­pen­dent con­sul­ting firms in Ger­many and is among the top ten in the indu­s­try. The firm has deca­des of solid expe­ri­ence in audi­ting, tax con­sul­ting, legal advice and busi­ness con­sul­ting. This broad spec­trum of ser­vices is offe­red by around 1,300 pro­fes­sio­nals using a mul­ti­di­s­ci­p­li­nary approach in all major Ger­man cities and busi­ness cen­ters. Ebner Stolz car­ries out cross-bor­der assign­ments with its part­ners in Nexia Inter­na­tio­nal, which is one of the world’s ten lar­gest net­works of con­sul­ting and audi­ting firms. EU ini­tia­tive on out-of-court restruc­tu­ring pro­cee­dings: New oppor­tuni­ties for Ger­man com­pa­nies?